White lanterns have graced many memorable moments as they are popular as wedding decorations, or decorative accents to your home, event decorations, and outdoor gardens. 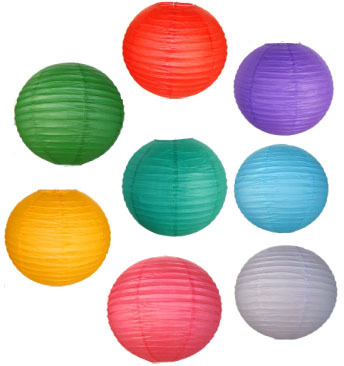 Our great selection of Japanese and Chinese paper lanterns in different sizes and colour to suit any colour theme. Shipped in Canada with our flat rate $9.99 shipping or free shipping over $200.00.